Korean beauty trends are dominating the world of skin care and makeup in 2018. In a stark contrast to the heavily contoured faces in Hollywood, South Korea is bringing their freshest faces forward. A hallmark of Korean beauty trends is a dewy, natural look. Korean skincare standards are second to none and these looks showcase natural beauty instead of covering it up. Korean cosmetics are simple, sophisticated and aim for youthful, glowing skin. From soft colors to thin eyeliner, here are some of our favorite Korean-inspired beauty looks to try. First and foremost, Korean beauty is all about taking care of your skin. In order to achieve the bare-faced refinement and grace of Korean beauty idols, a great skincare regimen reigns supreme. Korean skincare products offer unparalleled results; they are super hydrating, anti-aging and protect the delicate skin of the face. 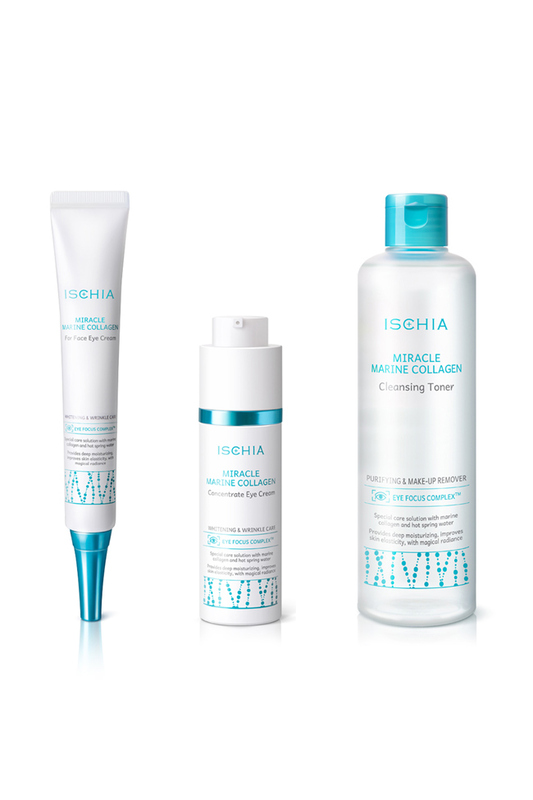 Keep your bare skin looking its best with the Miracle Marine Collagen Set by Ischia. This set offers pure and proven natural ingredients, it has unsurpassed quality and is perfect for even the most sensitive skin. Collagen is your best ally for keeping a youthful glow and is the basis for glowing skin and anti-aging. In order to keep your face moisturized and dewy, try the Brilliant Tone-Up by E.G.G. This multitasking product restores your skin’s natural balance, fights blemishes, and reverses skin damage for fresh and full-of-life skin. Korean skincare products include oil cleansers, toners, and sheet masks all for exquisite skin and the basis for Korean beauty. Korean beauty standards set dewy skin as the new natural look. Thanks to the Korean skincare regimen that keeps skin fresh and supple, this step is paramount to Korean makeup trends. Youthful, rosy, and bright skin is the aim for Korean cosmetic brands. 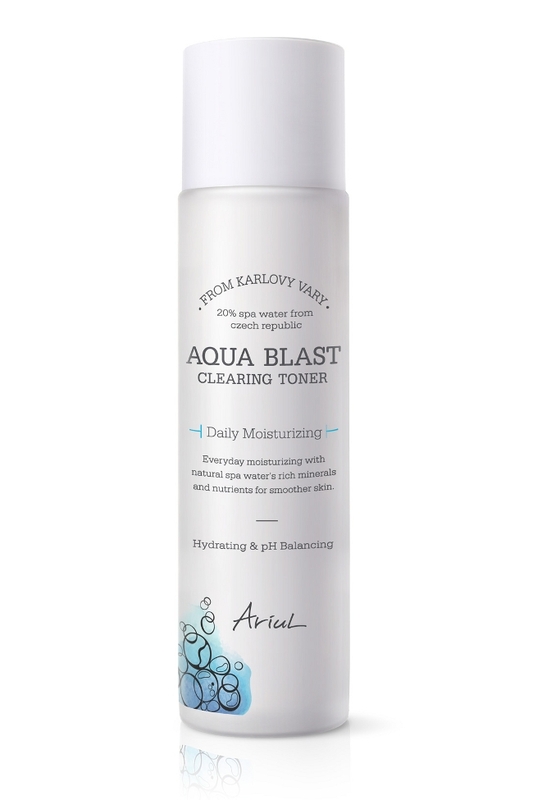 In order to achieve this look, minimal effort is needed with Ariul’s Aqua Blast Clearing Toner. Simply wet your beauty sponge with the toner prior to applying your foundation or place in a spray bottle and give a refreshing spritz on top of your makeup. 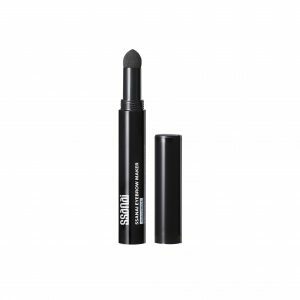 One of the best Korean makeup products to try is the Eyebrow Maker Powder Pen by Ssanai. For use by both women and men this convenient pen creates natural looking brows in one easy step. Follow your natural brow shape and create a more polished look by filling in any sparse areas. One of the most popular Korean beauty trends is to create straight, arch-free brows for a sweet and youthful look. If you aren’t familiar with this Korean makeup trend, it’s simply the opposite of the popular cat-eye! The tops of the eyes are thinly lined at the lash line and the tip of the liner draws slightly downward to create round, full eyes. Korean beauty is all about staying natural. Keep colors light and neutral, like pale pink gloss and soft peach blush. The goal is to keep the colors as natural and close to the colors of the skin as possible. Dust a subtle shimmer on your cheekbones and cupid’s bow for a romantic glow. Although the key is to stay natural-looking, glamourous orange and red lips are popular with Korean makeup. Usually you will notice pink-tinted gradient lips, but if you wish to try a more dramatic look, you can try Korean-inspired orange lips and bright orange blush. When you’re in the mood for bold color try a vibrant blue or purple eyeshadow paired with a pale pink gloss to give your outfit an unexpected pop of fun color. 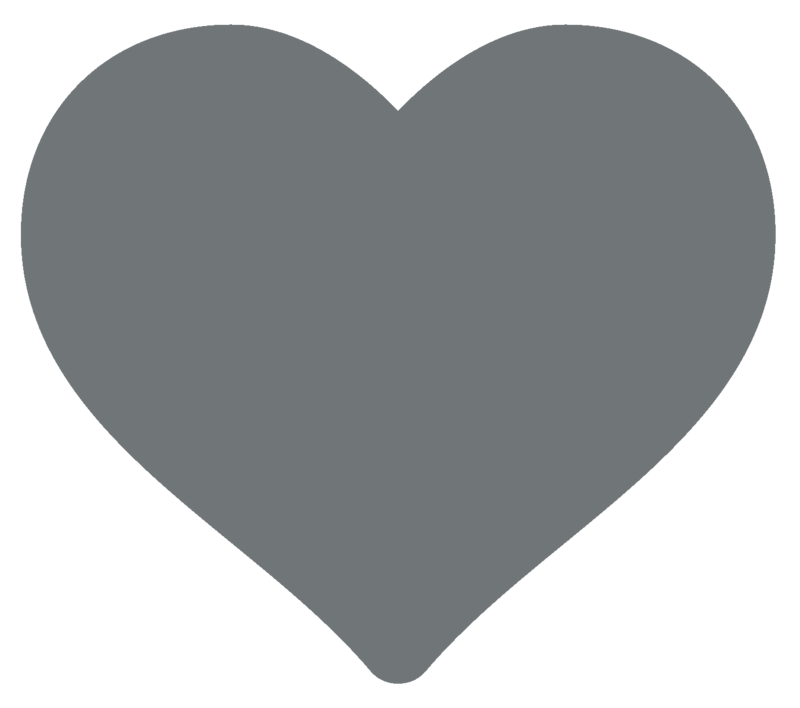 For further beauty insights and products please visit www.KOODING.com.